A great day was to be had at this year’s festival! Firstly many thanks must go to the Seafood Festival Committee who kindly invited us to the event. 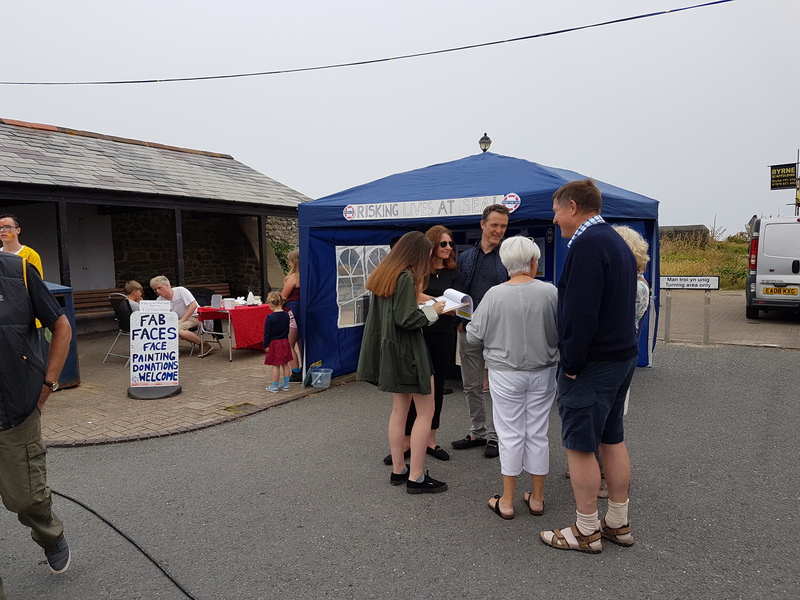 It was an excellent day for us to raise public awareness of the issue facing the Ceredigion coastline about the decision the RNLI has taken to withdraw the All-Weather Lifeboat from New Quay. Many visitors were unaware of the implications of this decision and we were very grateful to all 870 people who signed the petition!